Outpost: Siberia Survival Guide/Rules Update Now Available! 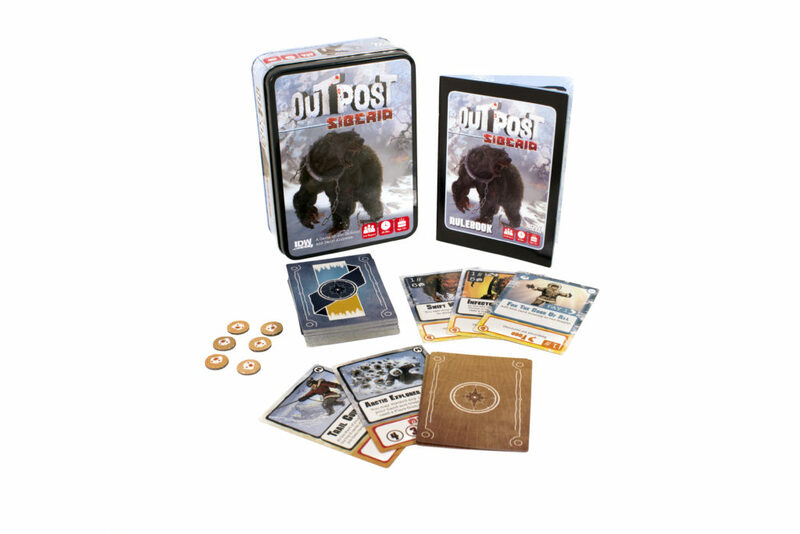 Outpost: Siberia, by Daryl Andrews and Jon Gilmour, is the co-op survival card game that puts Players up as a team, to survive the harsh environment full of nightmarishly strange creatures, a massive storm and food shortages. This dual facing card game is incredibly difficult to beat. However, after many adventures into the isolated tundra, we have found a few tips that might help you succeed in beating back the cold and surviving the night! Check out the Outpost: Siberia Survival Guide/Rules Update Here! ← The Legend of Korra: Pro-bending arena board game is Live on Kickstarter!